I Love My Library! Blog Series: Books.. no really, BOOKS! 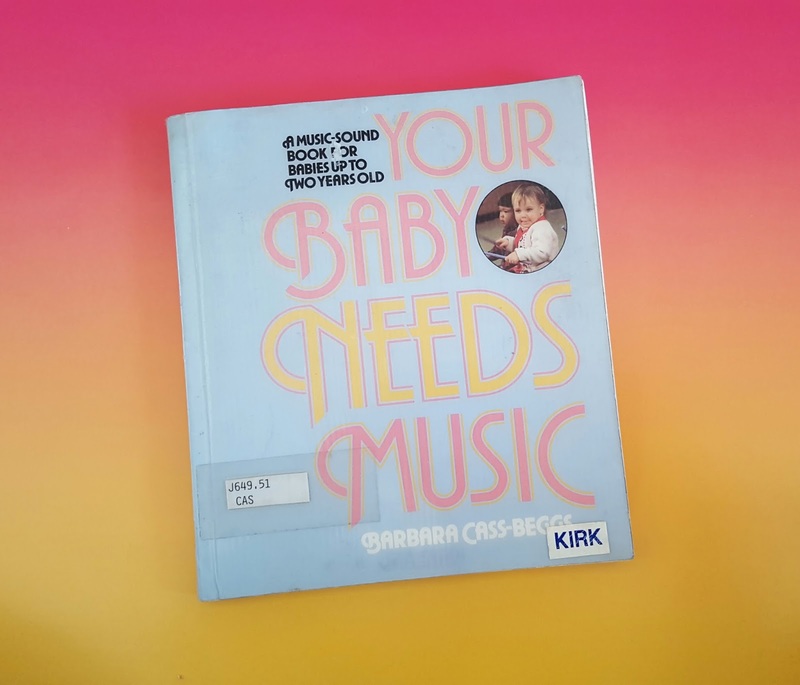 The book pictured above is a title I checked out from my library every year, starting in 1984 or so, when I first began singing with children. It's the most amazing book, and I found myself coming back to it again and again for its practical wisdom, the science behind singing to babies, and great song collection. Remember- this was around 1984 ( I know, some of you weren't even born yet- but stay with me). The last time I checked it out I noticed it hadn't been checked out in quite a while. I knew this because it had a library pocket inside with the most recent checkout dates. I briefly thought about "losing" the book, and just paying the replacement cost. But yes, I have a conscience, so I dutifully returned it to the Kirkland Library. The Internet was born! And suddenly we could buy out- of-print and long-forgotten books. I wondered... I did a search and voila! My book was available for purchase! When it arrived a few days later I was stunned to see it was the very same book I had been checking out for years! It had been weeded from the stacks, and sold online by the library. Since then, most of the wonderful out of print books I've been able to locate for my Sing With Our Kids Project started out as library books. And when your favorite book disappears from even the library, here's my great tip. Go to Bookfinder.com . It is the only website you will ever need to purchase books online. It aggregates books from all over the United States and the United Kingdom, both new and used, and states the condition, let's you compare prices, and purchase. I'm telling you it's the best thing since... well, the library! And who knows, when you go there and find a favorite book from your childhood, you might also find it's the very same one you checked out for free from you local library!